Rane ASIO and Core Audio drivers allow use with multiple third-party software applications that support Core Audio or ASIO. ASIO and Core Audio drivers are multi-client, meaning they allow multiple applications on a computer to share the device at the same time. When using a Rane product with Serato Scratch Live, proprietary Serato Audio Research drivers are used in place of Rane ASIO (Windows) and Core Audio (Mac) drivers. 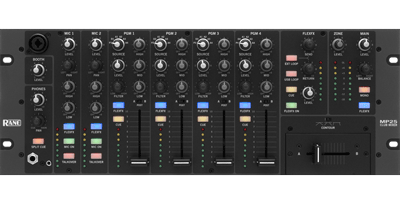 The included Rane drivers are used when Scratch Live is not running. Take these industry standard drivers and unleash your Rane audio device on any professional software package of your choice.